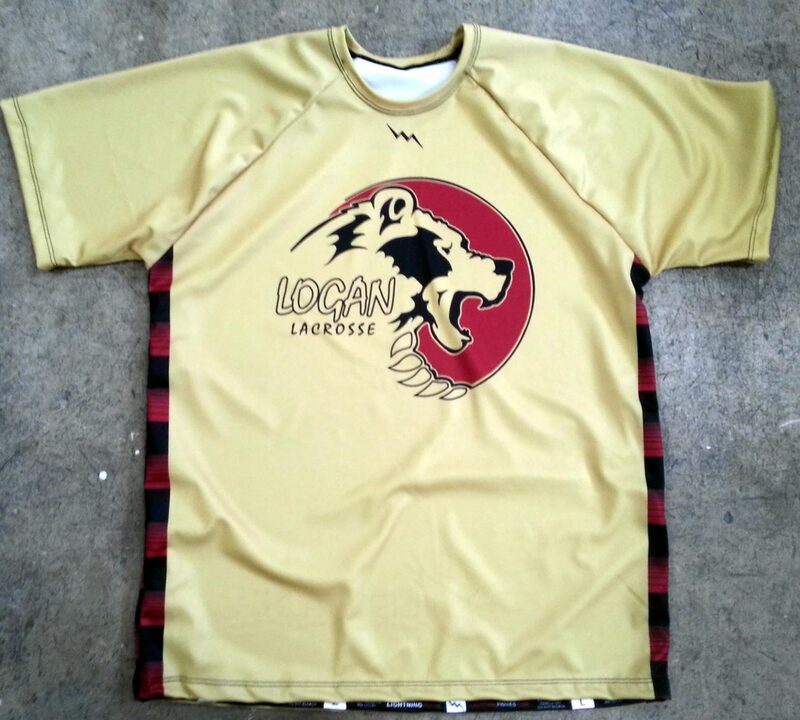 Custom gold lacrosse uniforms Knights from Lightning Wear®. 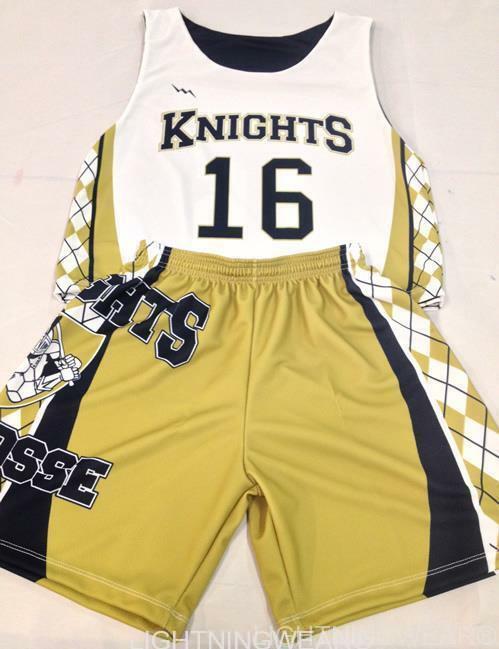 Here goes some vegas gold and white with navy accent custom lacrosse uniforms to the boys Knights team. 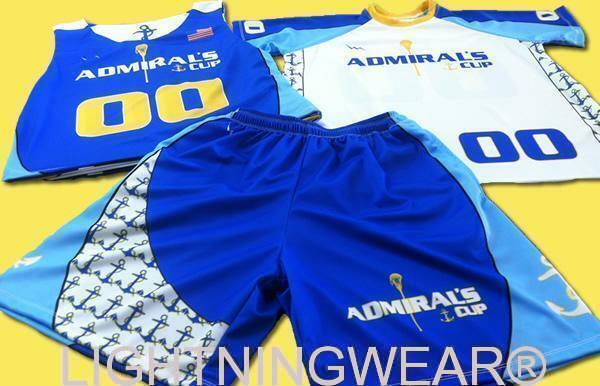 The side panel on the shorts really stands out with the powerful team logo. 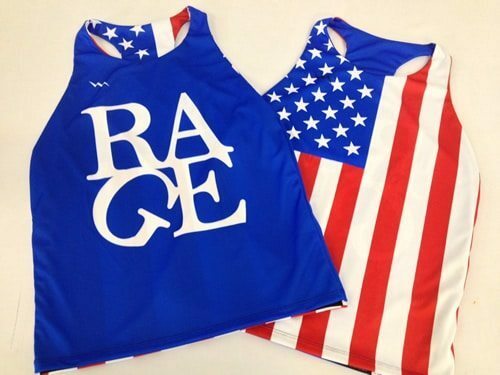 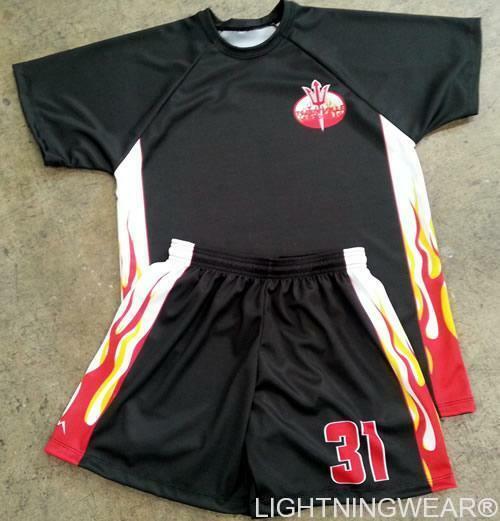 There are endless options and possibilities with the dye sublimation process. 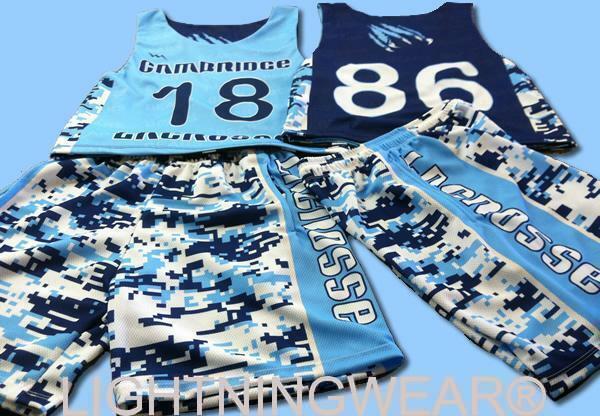 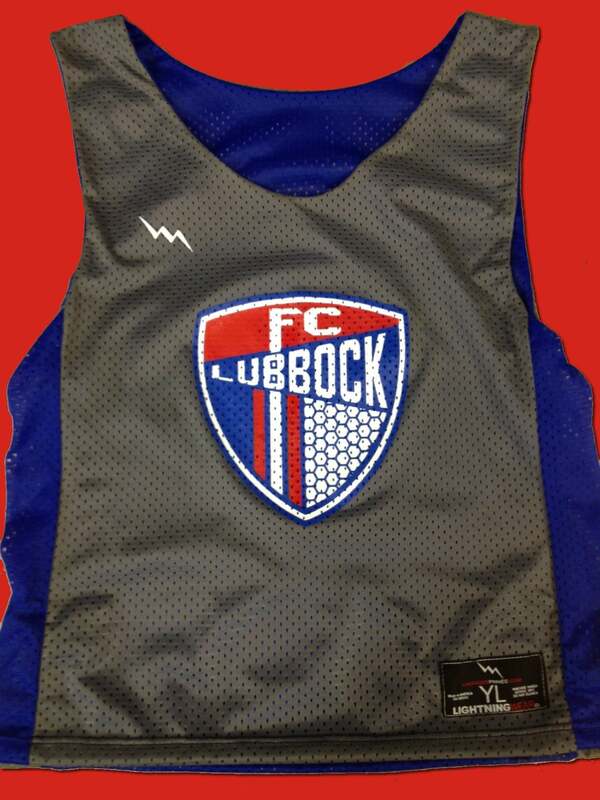 Customize Lacrosse Uniforms from Lightning Wear®. 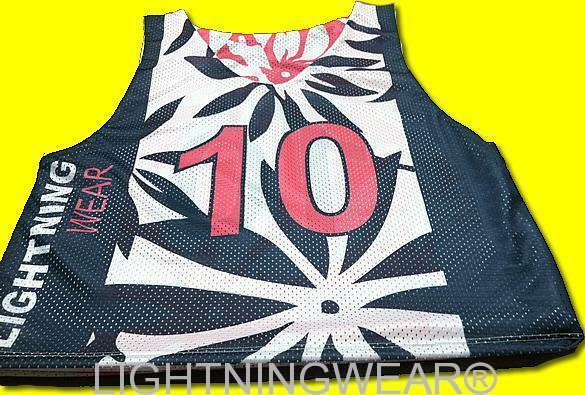 Here is a sneak preview of Team Lightning Wear’s lacrosse pinnies for the Ocean City Maryland Tournament in August. 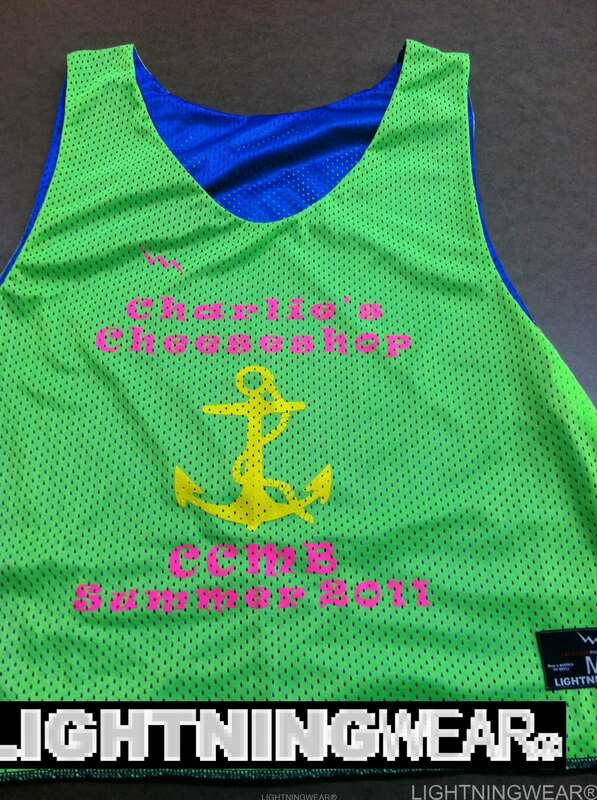 We will be there to support you and throw a few back. 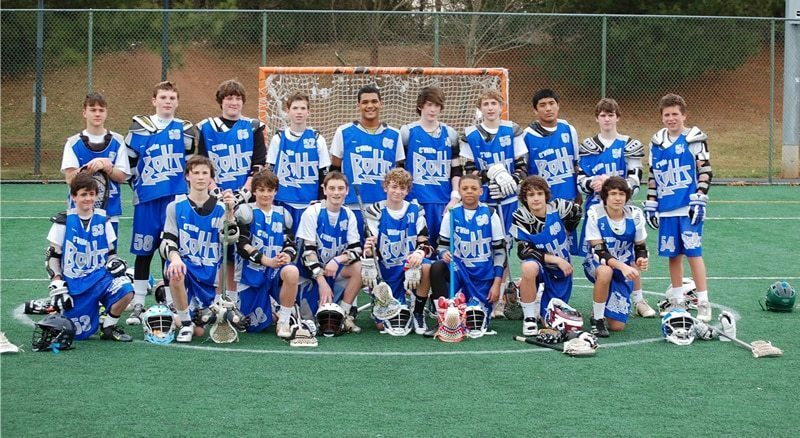 Good Luck Team LW!